Had a little extra time on my hands this morning as I have a long weekend this week (had off yesterday and today) so while re-watching the stream, I compiled the full list of modifiers for Kustom Kombat. Thoughts? Test your Luck and Kustom Kombat are ridiculously fun with a few buddies and some beer. These new modifiers are just going to add to the excitement. The match they played with Cyrax bombs, Rain's bubbles and the Juggle Kombat looked particularly chaotic and fun. Can't Wait! <div class="forumQuote"><b>KrayzieCyrax Wrote:</b><br/>Nice job! That probably took awhile haha. I def think this will be hilariously fun with shareplay and beer</div> <br/> <br/>Eh, didn't take that long lol. I was freeze-framing it to try and snoop out all the easter egg ones like Rain and Cyrax. I was surprised how few there are, actually. The full list still sounds incredibly fun though. Eh, didn't take that long lol. I was freeze-framing it to try and snoop out all the easter egg ones like Rain and Cyrax. I was surprised how few there are, actually. The full list still sounds incredibly fun though. I wonder what "Wrestling Kombat" will be? <div class="forumQuote"><b>KenshiMaster16 Wrote:</b><br/>I wonder if this excludes those characters from DLC? 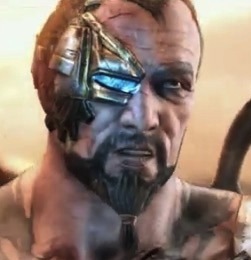 Fujin, Rain, Cyrax, Smoke, ect...</div> <br/> <br/>I think only ones that have a name in them. I think only ones that have a name in them.